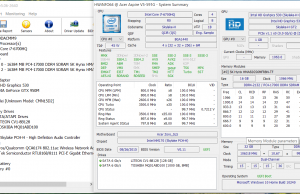 Summary: The Aspire V15 V5-591G offers potential buyers powerful and modern hardware specs in an affordable package. 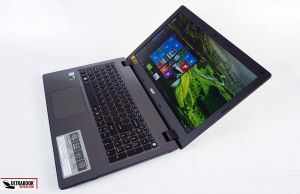 The laptop is well built, looks fine, gets a decent keyboard and goes for a long time on a charge, but Acer compromised on screen quality, and the cooling system is not capable of keeping the powerful internals at bay under serious load. 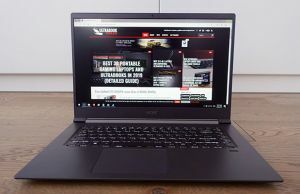 Last year Acer debuted the V15 Nitro series of full-size multimedia laptops and they were well received around the globe. 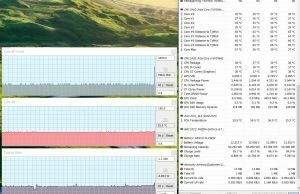 This year, with the launch of Intel’s Slylake hardware, they’ve updated the V15 Nitro line, but also introduced a new model, the V15 V5-591G. 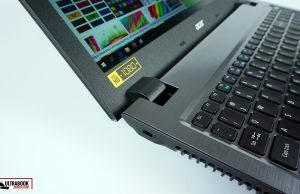 I spent a lot of time with this laptop in the last two weeks and in this post I’m going to share with you my impressions of this more affordable member of the Aspire V15 family. How much more affordable, you might ask? 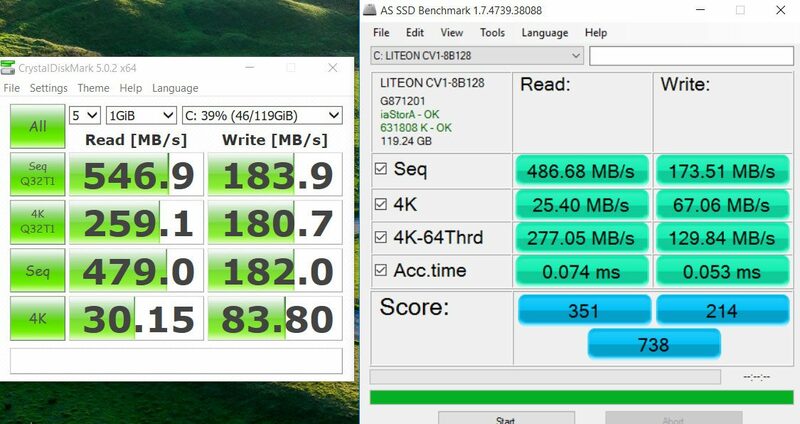 Well, the base configuration is scheduled to start at around 800 Eur, and includes a Core i5 Skylake quad-core processor, 8 GB of RAM or Nvida 950M graphics, among others. 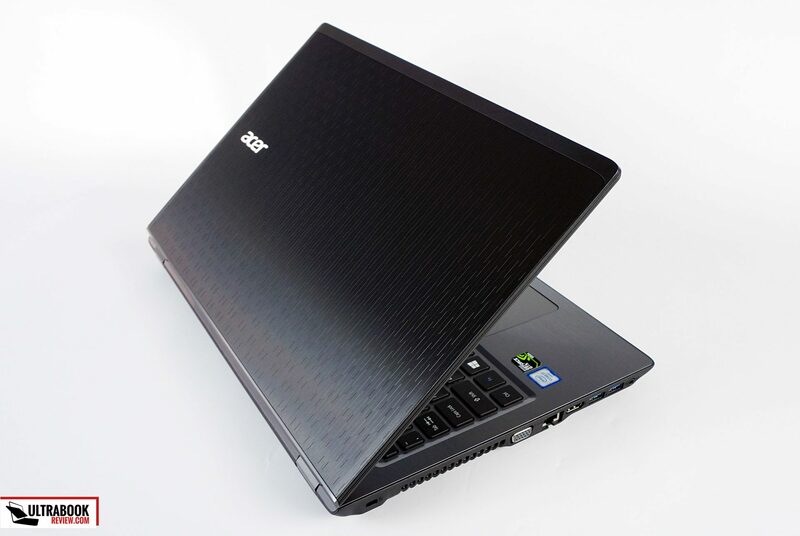 The higher end models get a Core i7 quad-core CPU, up to 32 GB of RAM, a FHD display and SSD storage. 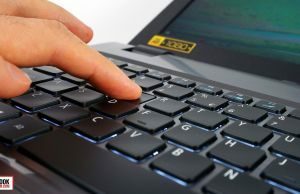 The laptops is available in Europe at the time of this post, but I’ve yet to find it in any US stores. 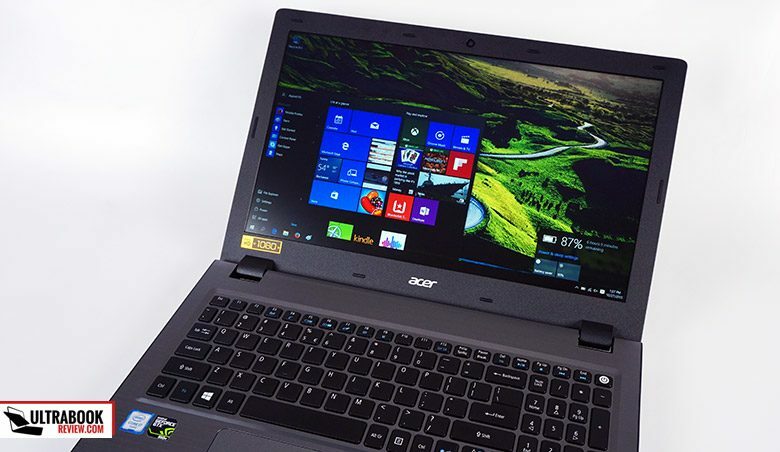 In other words, the Acer Aspire V15 V5-591G offers modern specs and a mid-level graphics chip, but it’s built primarily with price in mind. 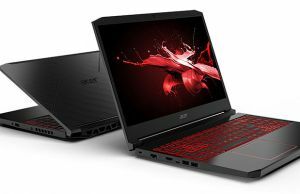 It outprices its direct competitors, like the Asus ROG GL552JX or the MSI GP62 Leopard/GE62 Apache, so the specs are there and the price is great, but are these enough to make it a good buy? Well, read on and you’ll find out. 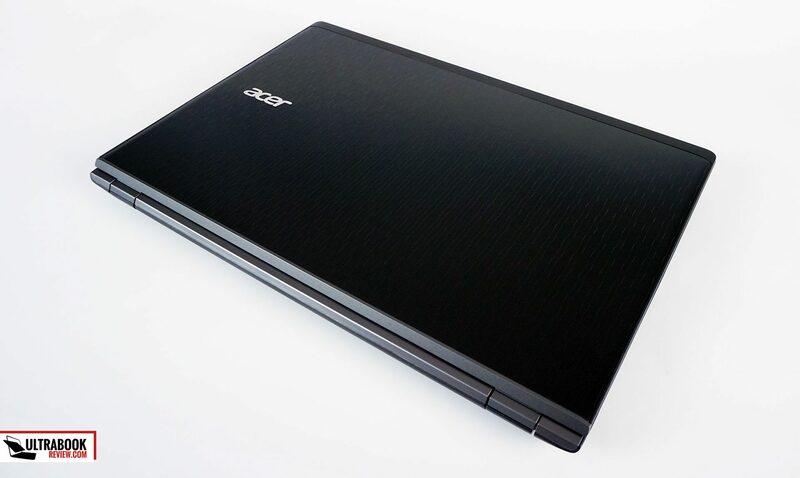 On the outside the Aspire V15 looks like many of the previous Acer Aspire notebooks I came across in the last years, a design some will appreciate and some might find a bit dated. 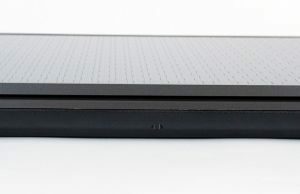 However, unlike the lower-end Aspires which are entirely made out of plastic, this one gets aluminum on the lid cover and on the interior, while the rugged plastic remains present on the belly, sides and the screen’s bezel. The build quality is pretty good. Not impressive, as there’s still some flex in the lid and the keyboard area, but I’m overall satisfied. 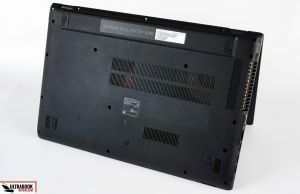 The screen’s hinges are rather small, but they are strong enough and hold the screen in place steadily. 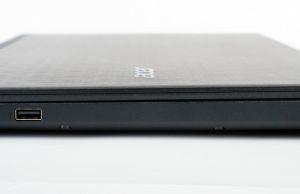 Those aside, you should know this V15 is a full-size laptop with a rather chunky body, as it’s 1.2-inches tall and weighs 5.3 lbs, so it is going to spend most of its life on a desk and won’t travel much. On the practical side, there are few aspects to complain about. The interior’s margins are blunt, the front lip isn’t very tall and the status LEDs are hidden on this front lip, mostly out of the way. 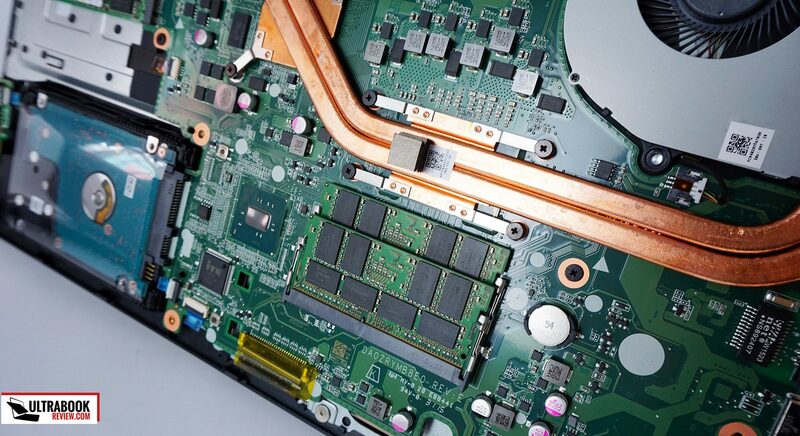 The IO on the edges is well designed, with most of the connectors being placed on the right. 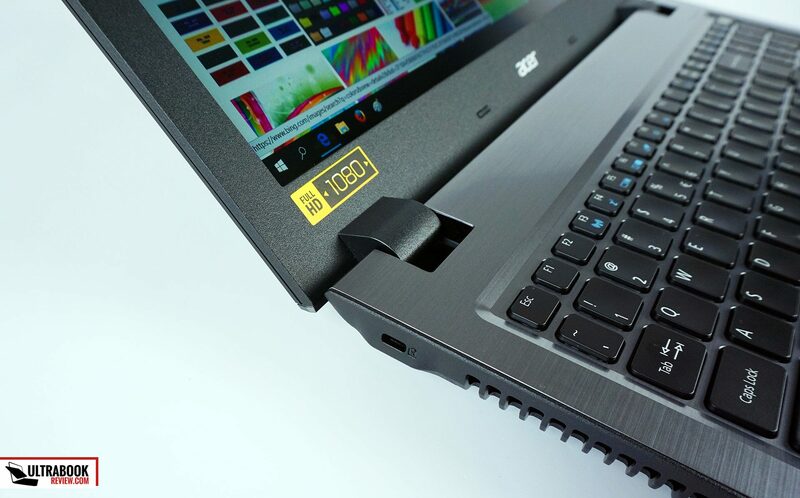 However, keep in mind there are only three USB slots on this laptop and for outputting video you’ll have to rely on the HDMI and VGA ports. 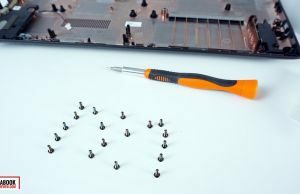 There are no DisplayPort or USB Type-C connectors. Flipping the computer over you’ll notice there’s no quick-access bay on the underbelly and that the battery is encased. 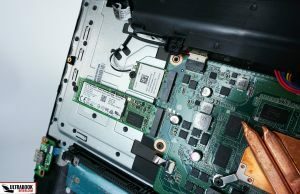 You can however remove the entire back panel, hold in place by about two dozens of Philips screws, and that will give you access to the 2.5″ HDD, the M.2 SATA slots, the RAM modules, the Wi-Fi chip and the battery. 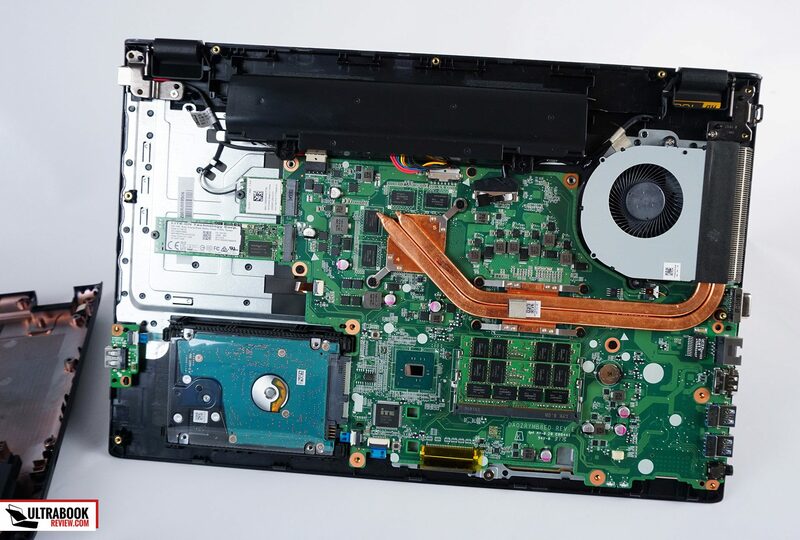 However, be careful when removing the back, as the speakers are tied to it and you’ll have to unplug the connection cable before you can actually take the shell away. 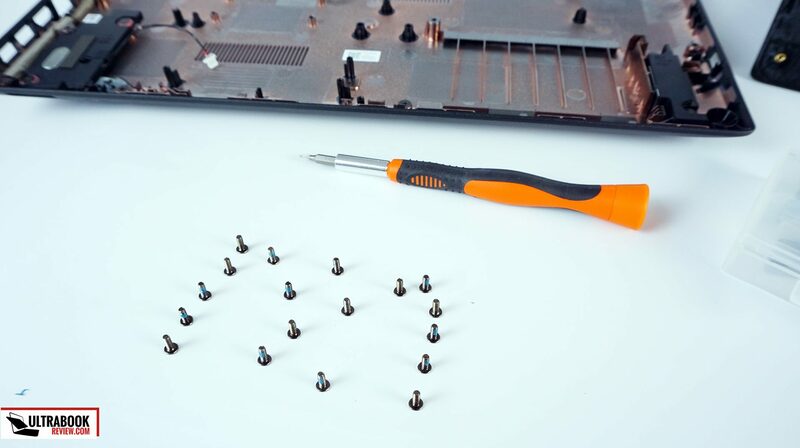 So proceed with extra care and don’t pull too hard, or you’ll end up severing that cable. 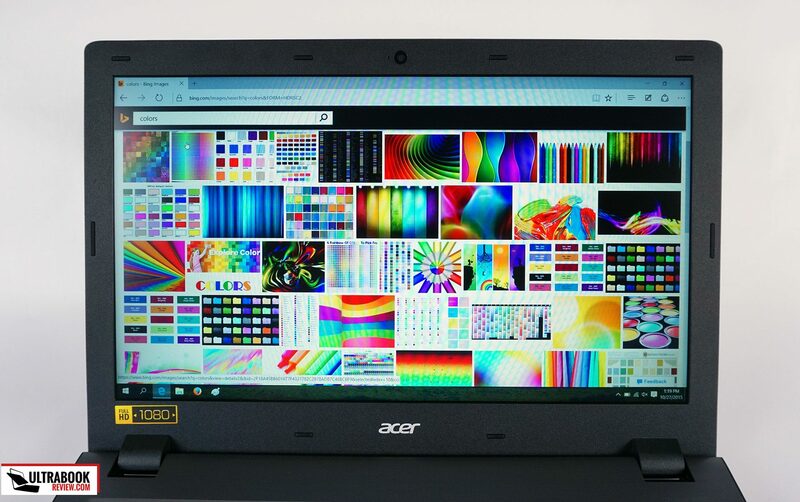 Acer went for a pretty crappy 15.6-inch Chi Mei N156HGE panel on this laptop. 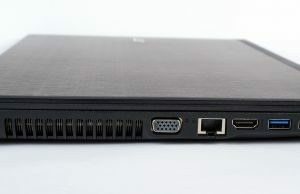 It’s the same TN panel that we previously saw on the FHD version of the Lenovo Y50 multimedia laptop. 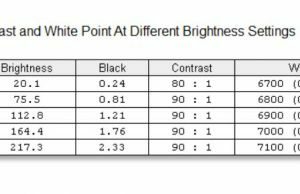 The Spyder4 sensor shows the panel’s poor brightness, contrast, gamma and color reproduction. 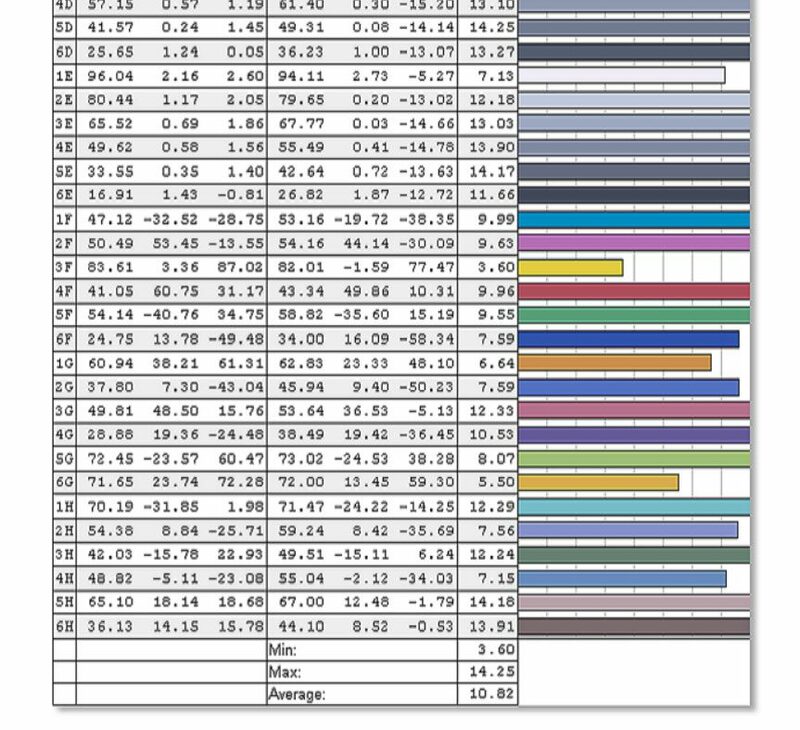 Average DeltaE: 10.82 uncalibrated, 1.52 calibrated . Now, the casual user will probably find this display decent in everyday use? 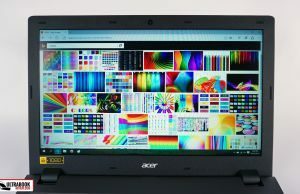 However, potential buyers should keep this computer indoors, away from bright light, and definitely calibrate the panel, as the colors and gamma are severely skewed out of the box. 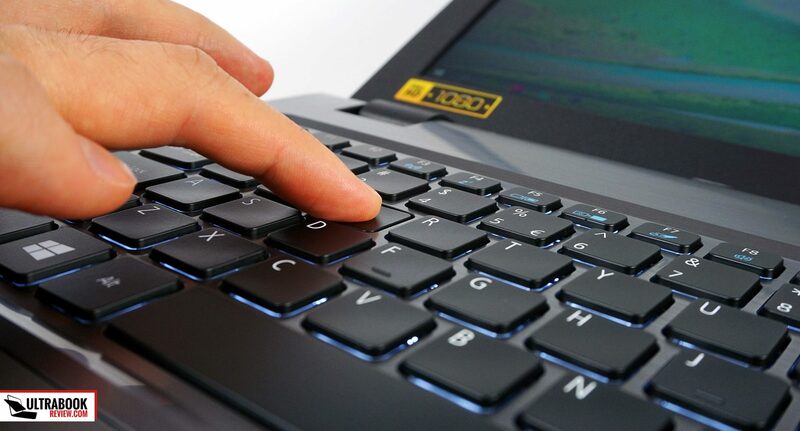 The keyboard is backlit and overall not bad. I appreciate the key’s rubbery finishing, the deep stroke and overall firmness, although it took me some time to get used to the overall feedback, which resulted in a fair amount of missed strokes. 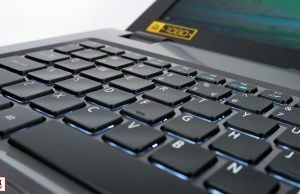 The layout is standard for an Acer laptop, with a full-size chiclet keys and a narrower NumPad section, plus minuscule Up and Down arrow keys and the Power button integrated as the top-right key. 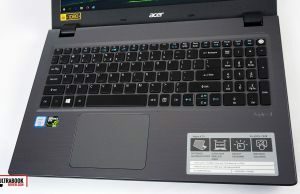 Acer use variations of this layout on most of their 15-inch laptops, but the finishing and the feedback is somewhat improved on this series, compared to the more affordable Aspire E and F lines. 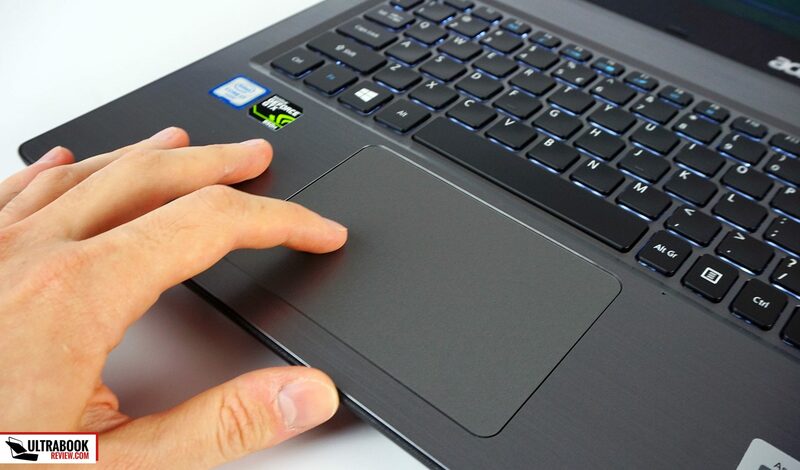 The trackpad is decent, large enough and smooth, although made of plastic and a rather clunky when performing taps. It performed accurately though during my tests and handles taps and gestures fine too, so there’s not much to complain about here. 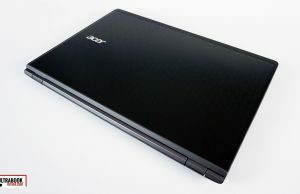 The V15 V5-591G is advertised as an all-round 15-inch laptop and Acer cut no corners when it came to the hardware specs. 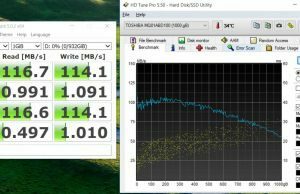 Our test version is the most powerful configuration available, with a Core i7-6700HQ processor, 32 GB of DDR4 RAM, Nvidia 950M graphics and dual-storage options, with an M.2 SATA SSD for the OS and the important software, plus a regular HDD for storage. 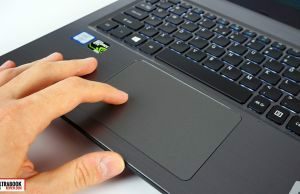 As a result, this computer flies through everyday chores, and will handle heavy multitasking or more demanding workloads as well. 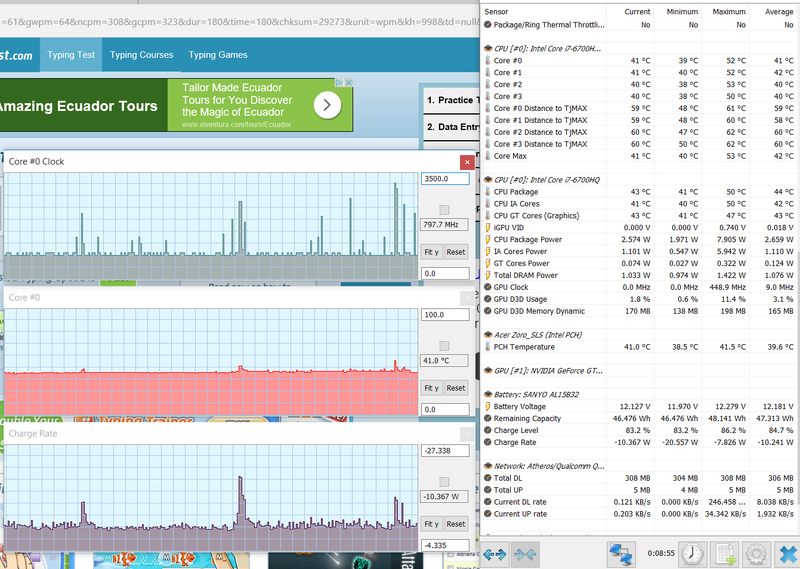 However, don’t expect much in terms of gaming. 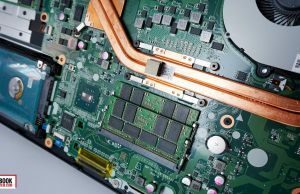 The Nvidia chip included is only a mainstream solution and will be able to tackle many titles at the native 1080p resolution, but only if you trim down the details a fair amount. 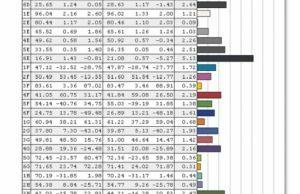 I have some gaming results for you below, so you’ll know exactly what to expect here. 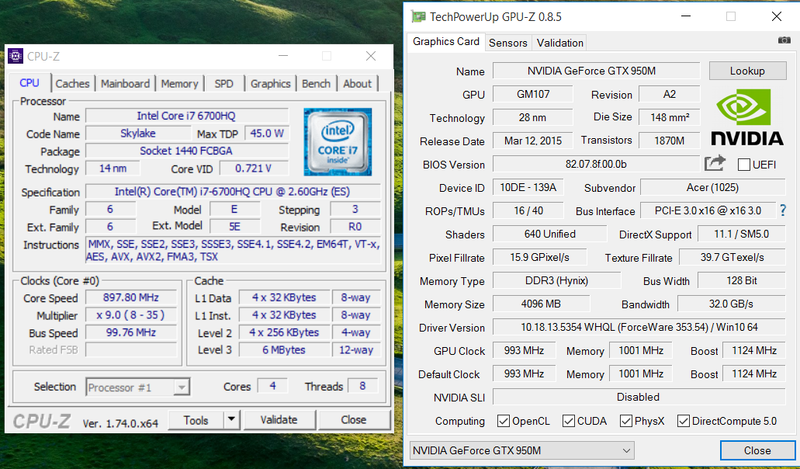 I also ran a few benchmarks, if you’re interested in the sheer numbers. 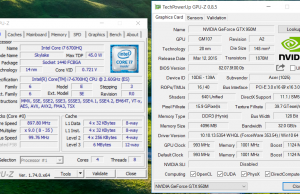 CineBench R15: OpenGL 50.28 fps, CPU 662 pts, CPU Single Core 139 pts. 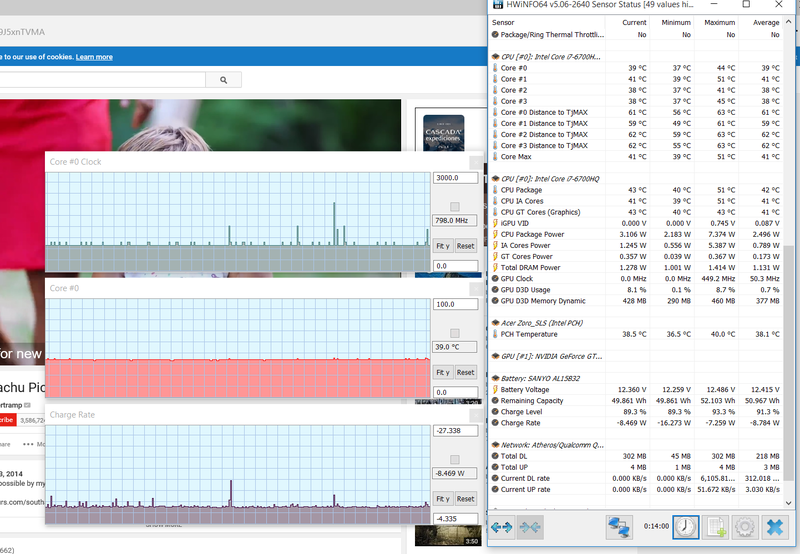 x264 Benchmark 5.0.1 64-bit: Pass 1 – 71.28 fps, Pass 2 – 14.53 fps. 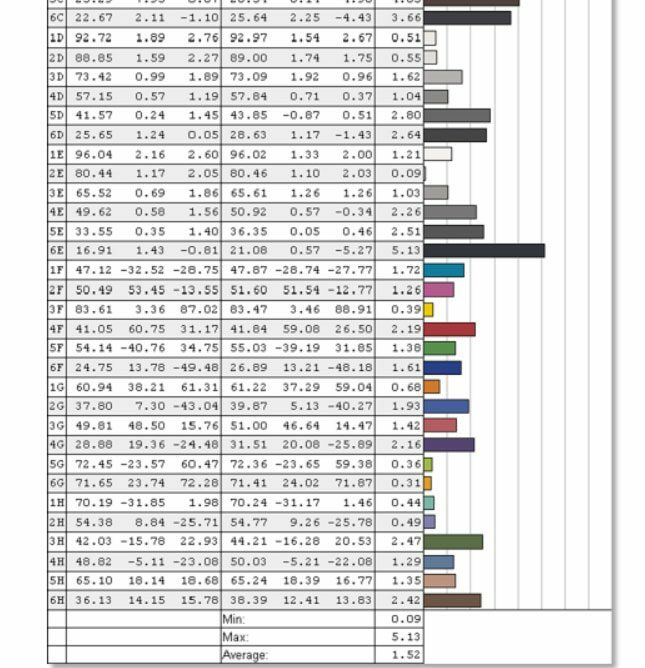 And here are those gaming results. 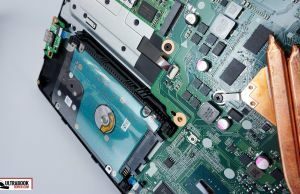 It’s not enough for a multimedia/all-round computer to perform smoothly though these days, it also needs to run cool, quiet and efficiently. We’ll talk about these aspects in the next sections. 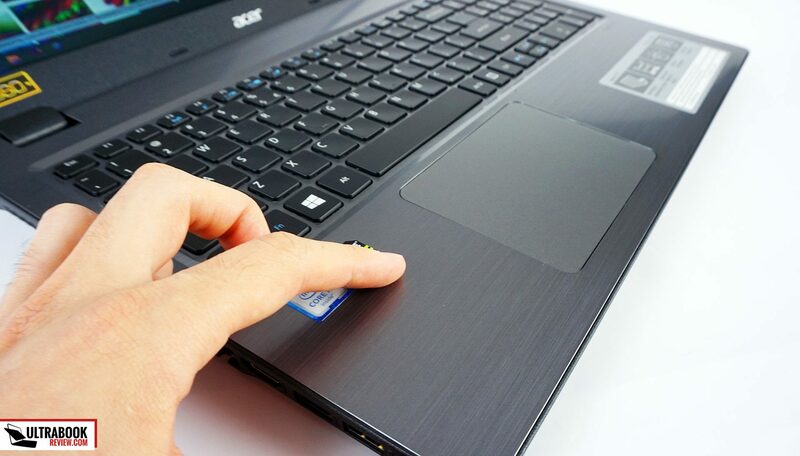 The V5-591G is cooled by a single fan, which pushes air through the exhaust grill on the laptop’s right edge. 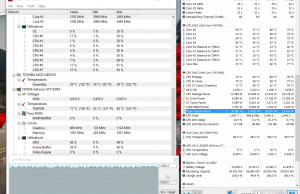 This fan is active pretty much all the time and it’s a bit noisier than I would have hoped, even when it spins at its slowest speeds, so you’ll definitely hear it in a quiet room. 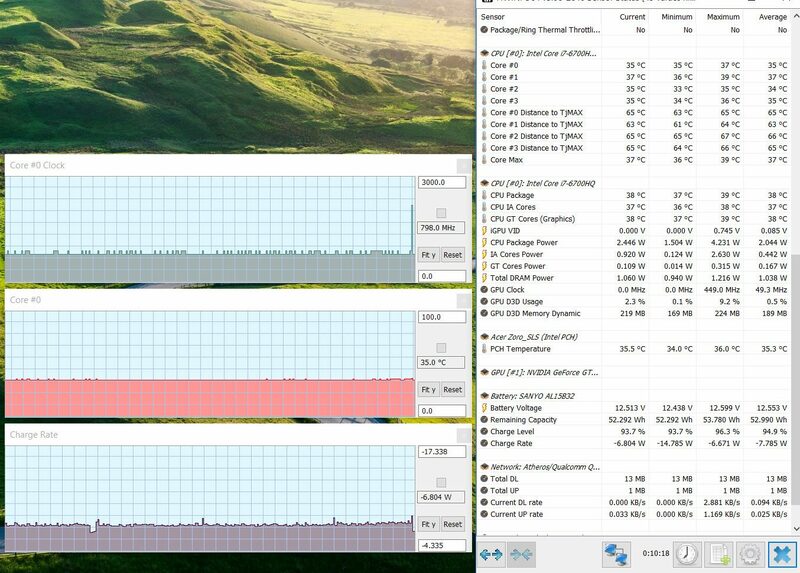 But it keeps the laptop cool in this situation. 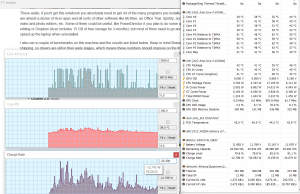 When it comes to running games or other high-load tasks though, the cooling system does not perform as well. 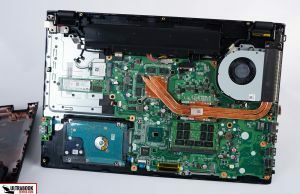 On one hand, the fan doesn’t get much noisier, but on the other both the internals and the outer shell get hot quickly, both on the belly and on the interior. 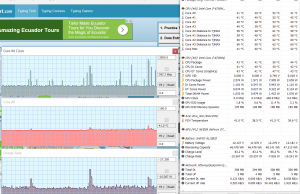 The are around the M and N keys gets especially hot, which is pretty much where the CPU is placed. Now, keep in mind we did test a pre-production model of the Aspire V5-591G here, so if you’ll be reading this post in the future and have this computer on your shortlist, make sure you check out some other reviews as well and see what they have to say about the thermal and acoustic performance. 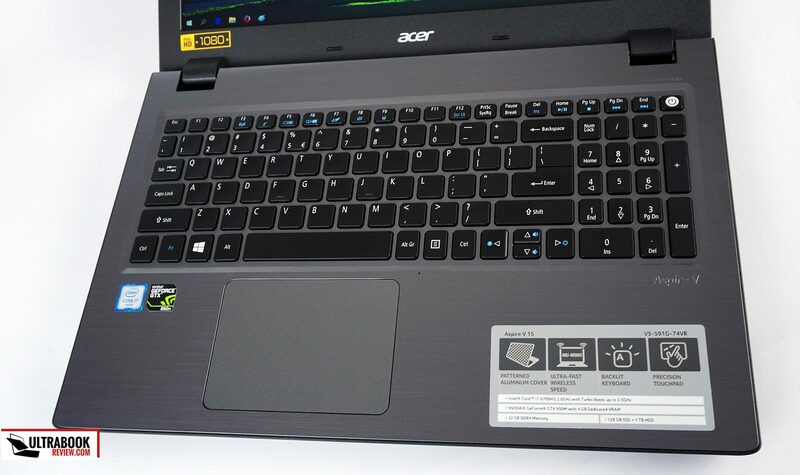 Acer put a 55 Wh battery in this laptop, which is a fair-size for a mid-level multimedia 15-incher. 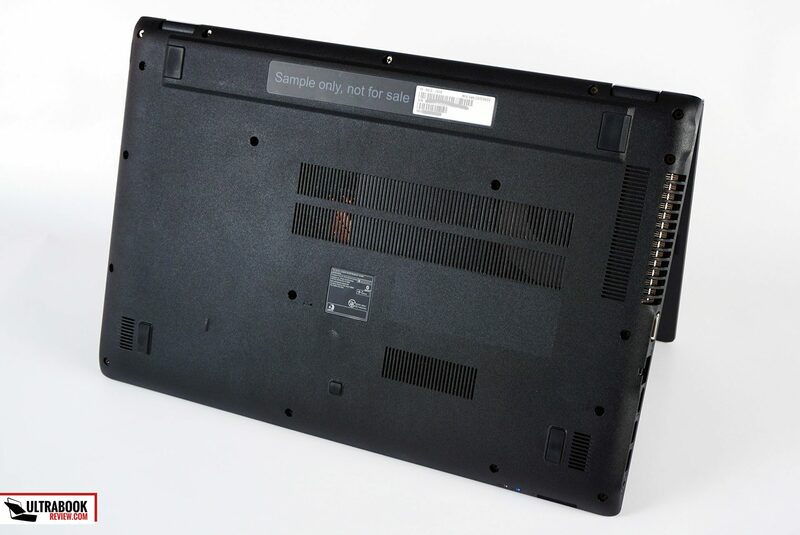 The battery is encased, but it’s actually very easy to replace if needed, once you take apart the bottom panel. 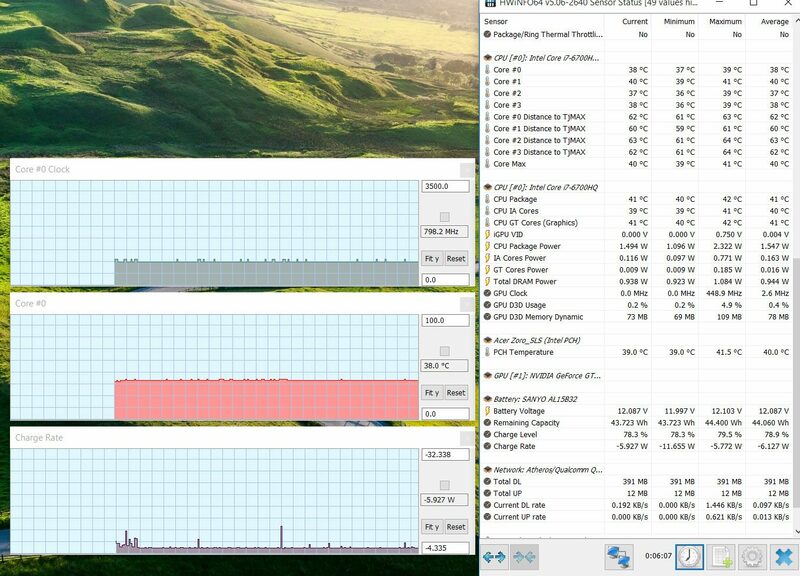 We took the laptop through a couple of different scenarios and recorded consumption below. 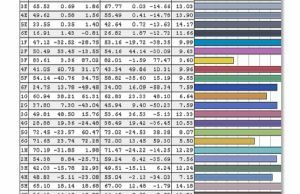 We calibrated to screen to about 120 nits, which is roughly 60% of the panel’s brightness. 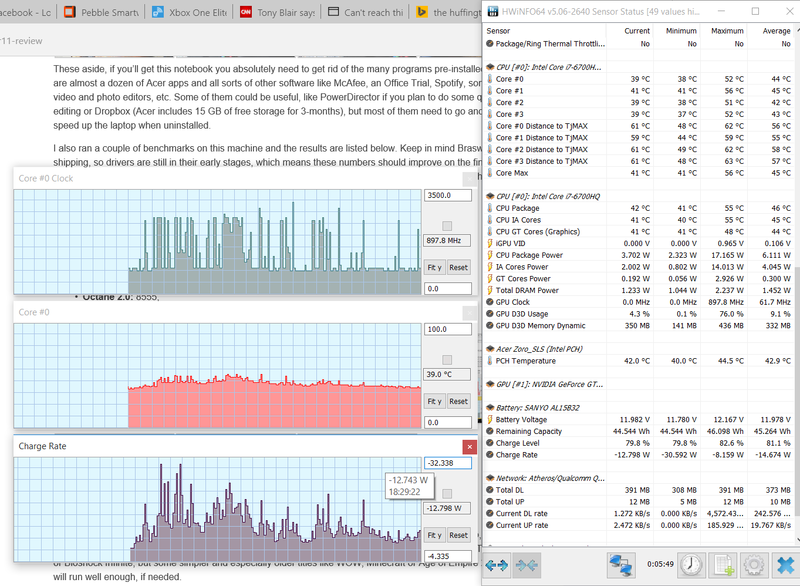 14.5 W (~3 h 45 min of use) – heavy browsing in EDGE, Balanced Mode, screen at 60%, Wi-Fi ON. 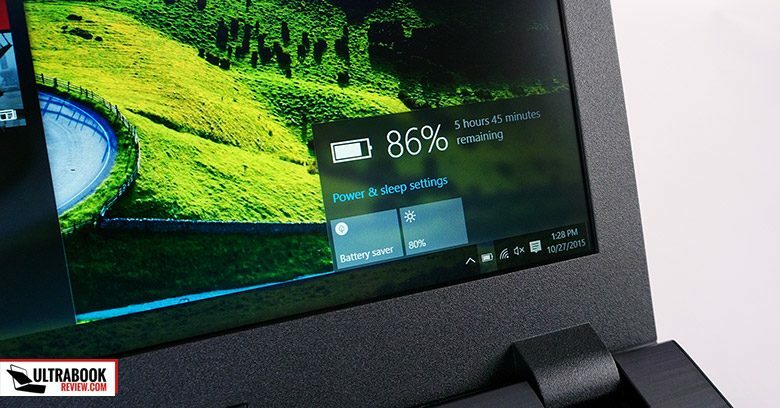 The fair-sized battery and the low-brightness TN screen push this laptop’s autonomy above average in its class. 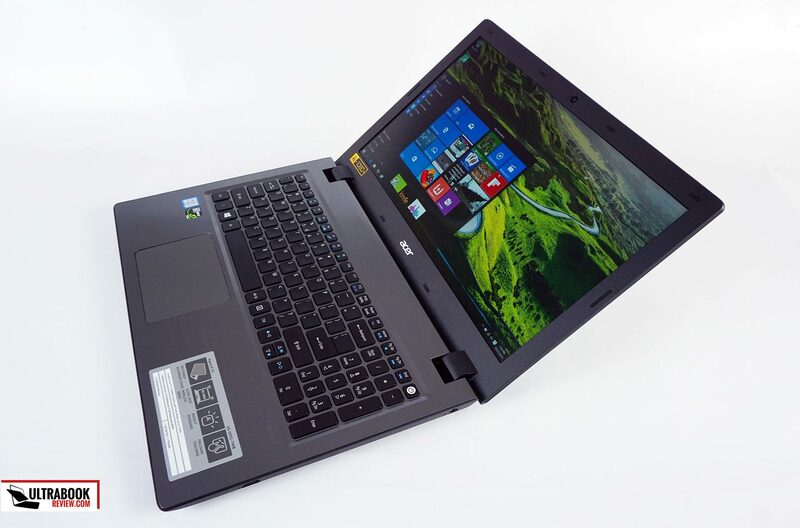 The Acer V15 V5-591G is scheduled to sell for between $800 and $1200. 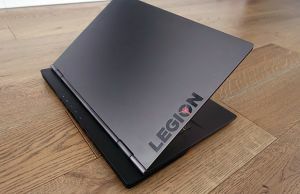 Some configurations are already available in Europe, so you might want to check out your local shops for more details. 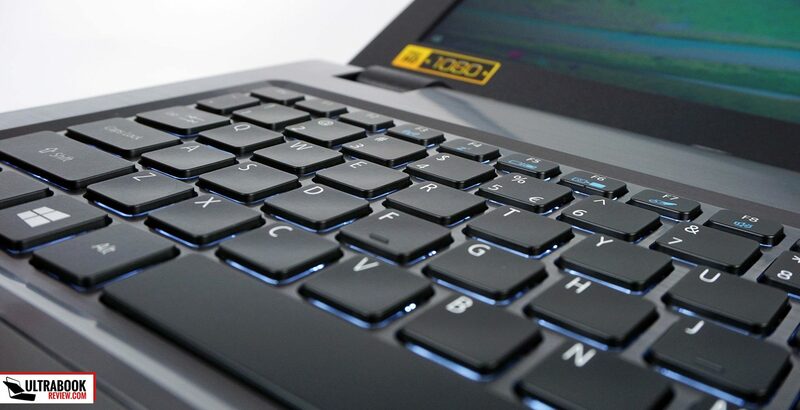 The base versions only get a Core i5-6300HQ processor, 8 GB of RAM, a regular HDD and an HD TN screen, while the top model is going to be pretty much identical to the version we tested here. 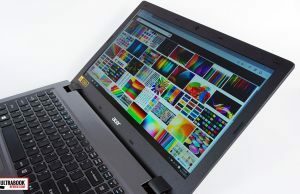 The Core i5 processor is not a bad pick, and both the HDD and the RAM can be later upgraded, but I’d advise against the HD screen if you care about image quality. That’s an even poorer TN panel than the one we tested here. 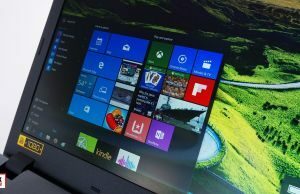 Let’s say you have around $1000 (or EUR if you’re living over here, in Europe) and want to spend them on the best 15-inch full-size computer. 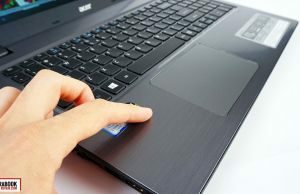 Usually, you can either opt for a configuration with powerful hardware, but look past some aspects like build or display quality, or you could aim for a computer built on Core U hardware and squeeze a larger SSD or a better screen in your budget. 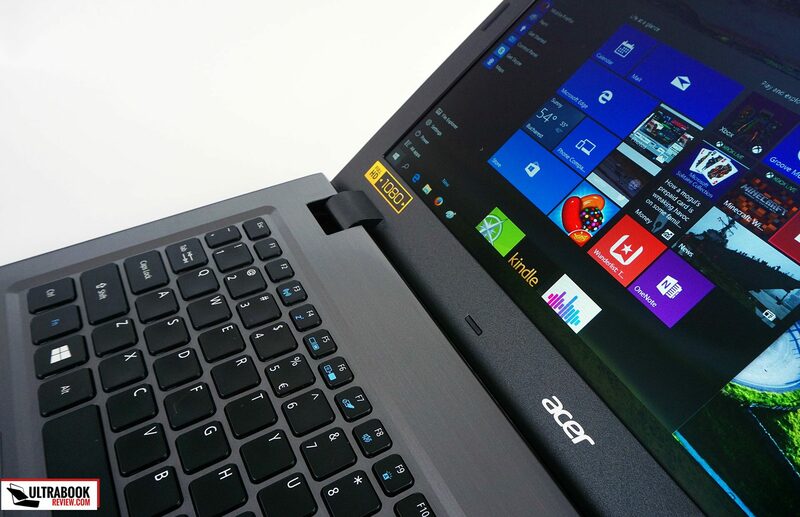 The Aspire V15 V5-591G falls in the first category. 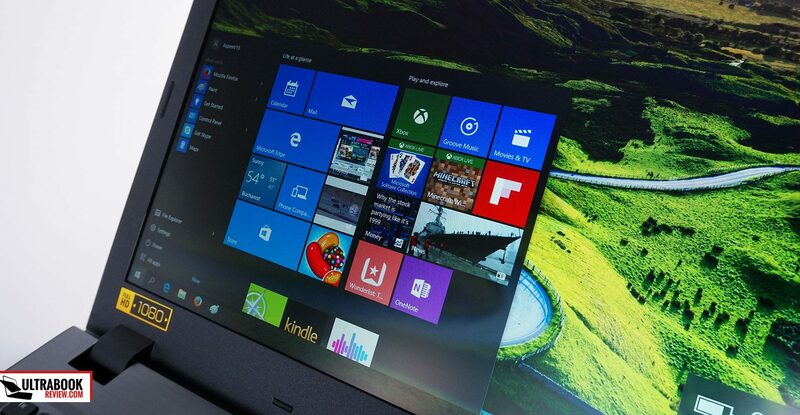 In fact, I feel this is a computer designed to offer the best hardware specs for as little money as possible. 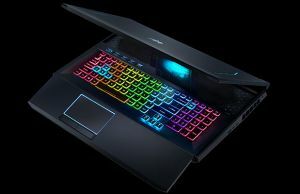 $1000 can get you a Core i7-6700HQ processor and Nvidia 950M graphics, while similarly specked rivals like the Asus ROG GL552VX, the MSI GP62 and the HP Pavilion 15 are all more expensive than Acer’s offer. 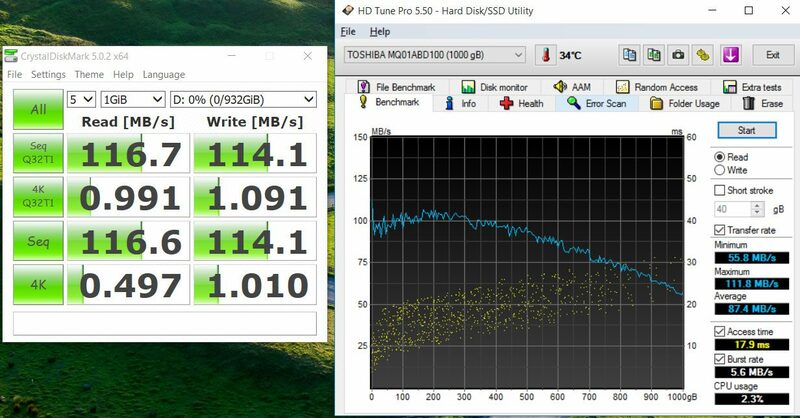 However, a few important corners were cut in order to reach the low price point, and while that was expected, I can’t accept the poor TN display or the high temperatures under load. 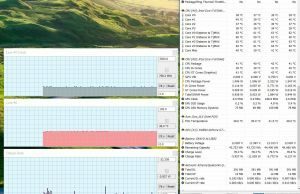 Personally, I’d rather pay extra, but get a better display and a computer than can run cooler. You might think otherwise. 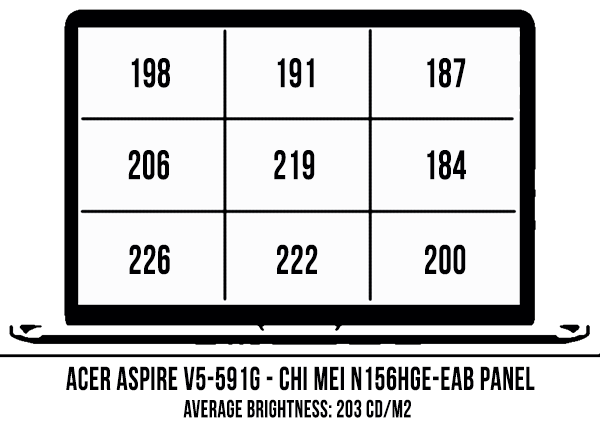 If you can look past these aspects, the Aspire V15 V5-591G is a pretty good notebook. 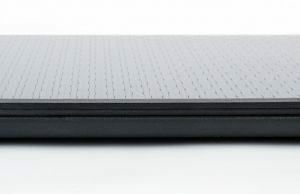 It looks fine and is fairly well built, it packs a decent keyboard and trackpad, it’s powerful and last for quite a while on a charge. But are these enough to make it a good buy? Well, that’s going to be entirely up to you. 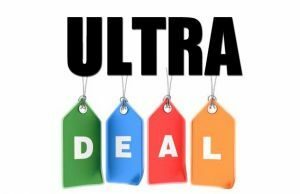 LOVE THIS REVIEW, this is on par or better than laptopmag reviews, there should definitely be more reviews from ultrabookreview!! 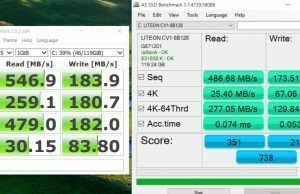 Does M2 slot support PCI Express x4? 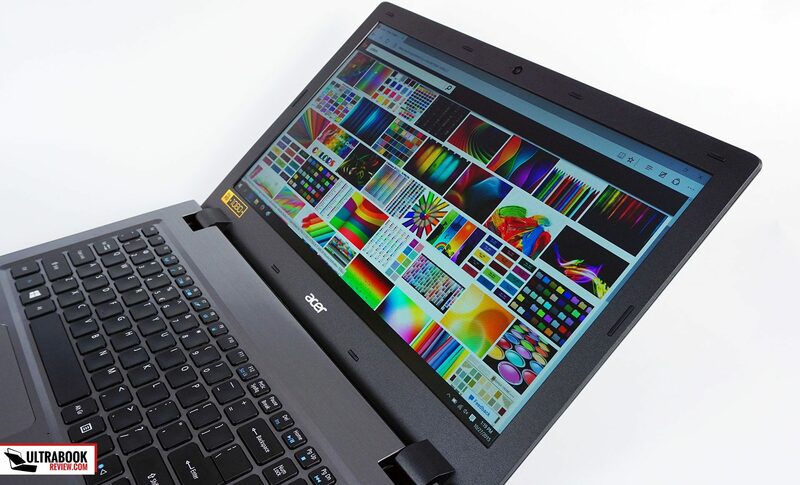 This is a very good laptop. 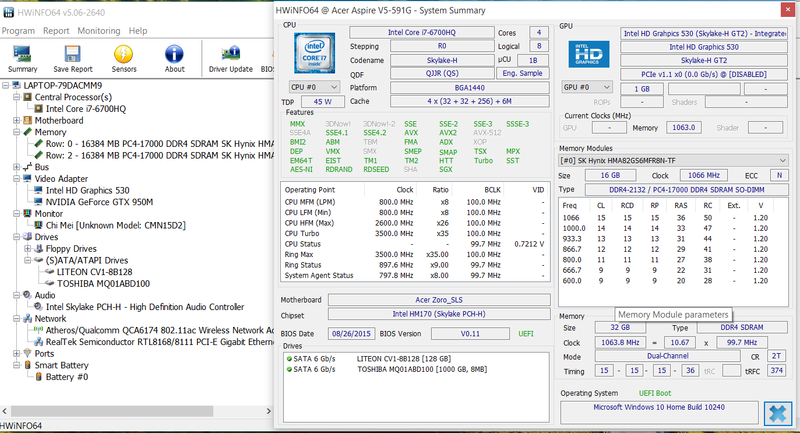 Even if i bought myself a brand new y720 model, this is a model i love so much. 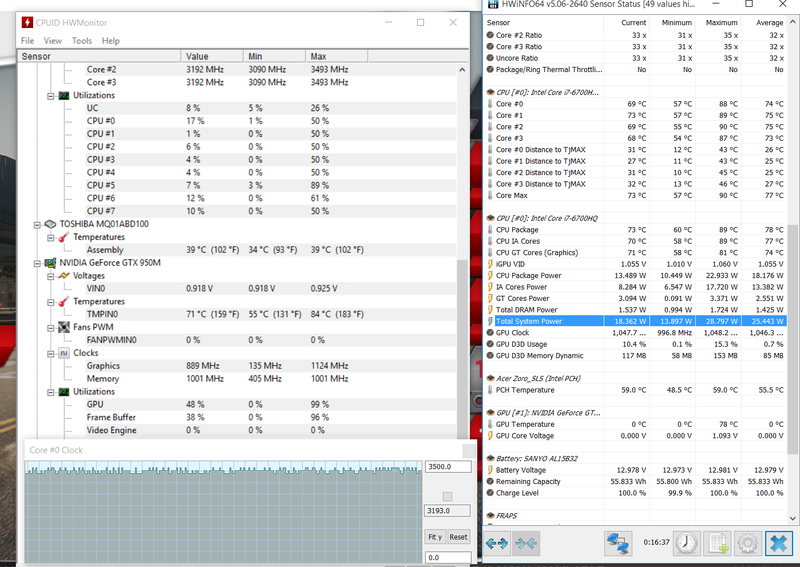 When i was restricted playing Quantum Break on my desktop pc (core2quad q9550) this laptop saved the day and it played it perfectly (can you imagine that) on medium settings (it's similar to high settings on this game). 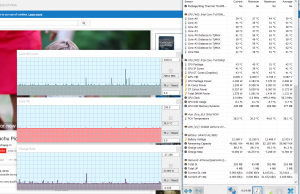 Although it was very hot (everywhere) the game ran smoothly and there were no hickups or restartings or any other issues.